Ulster’s Solemn League and Covenant, commonly known as the Ulster Covenant, was signed by just under half a million Irishmen and women, mainly from Ulster, on and before 28 September 1912, in protest against the Third Home Rule Bill introduced by the British Government in the same year. 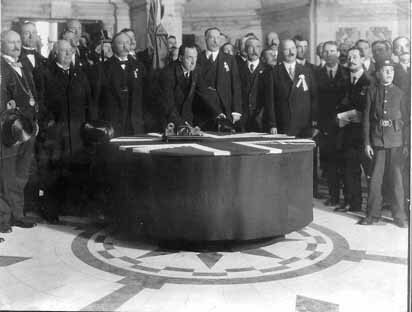 Sir Edward Carson was the first person to sign the Covenant at Belfast City Hall with a silver pen, followed by Lord Londonderry (the former viceroy of Ireland), representatives of the Protestantchurches, and then by Sir James Craig. The signatories, 471,414 in all, were all against the establishment of a Home Rule parliament in Dublin. 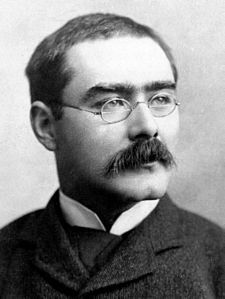 The Ulster Covenant is immortalised in Rudyard Kipling‘s poem “Ulster 1912“. By England’s art and deed. On 23 September 1912, the Ulster Unionist Council voted in favour of resolution pledging itself to the Covenant. The Covenant had two basic parts: the Covenant itself, which was signed by men, and the Declaration, which was signed by women. In total, the Covenant was signed by 237,368 men; the Declaration, by 234,046 women. Both the Covenant and Declaration are held by the Public Record Office of Northern Ireland (PRONI). An online searchable database is available on the PRONI website. 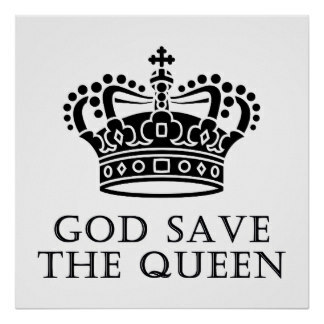 Ulster Covenant: a staunch reaction to Devolution in the United Kingdom. In January 1913, the Ulster Volunteers aimed to recruit 100,000 men aged from 17 to 65 who had signed the Covenant as a unionist militia. A British Covenant, similar to the Ulster Covenant in opposition to the Home Rule Bill, received two million signatures in 1914. BEING CONVINCED in our consciences that Home Rule would be disastrous to the material well-being of Ulster as well as of the whole of Ireland, subversive of our civil and religious freedom, destructive of our citizenship, and perilous to the unity of the Empire, we, whose names are underwritten, men of Ulster, loyal subjects of His Gracious Majesty King George V., humbly relying on the God whom our fathers in days of stress and trial confidently trusted, do hereby pledge ourselves in solemn Covenant, throughout this our time of threatened calamity, to stand by one another in defending, for ourselves and our children, our cherished position of equal citizenship in the United Kingdom, and in using all means which may be found necessary to defeat the present conspiracy to set up a Home Rule Parliament in Ireland. And in the event of such a Parliament being forced upon us, we further solemnly and mutually pledge ourselves to refuse to recognise its authority. In sure confidence that God will defend the right, we hereto subscribe our names. The majority of the signatories of the Covenant were from Ulster, although the signing was also attended by several thousand southern unionists, many of whom had travelled to Belfast by rail from Amiens Street station in Dublin. to cheers from the crowd. Robert James Stewart, a Presbyterian from Drum, County Monaghan, and the grandfather of Heather Humphreys, the Minister for the Arts, Heritage and the Gaeltacht in the Republic of Ireland, was one of 12,000 signatories from Monaghan. One quarter of the population of the county was Protestant before Irish independence. The signature of Frederick Hugh Crawford was claimed by him to have been written in blood. However, based on the results of a forensic test that he carried out in September 2012 at PRONI, Dr. Alastair Ruffell of The Queen’s University of Belfast has asserted that he is 90% positive that the signature is not blood. Crawford’s signature was injected with a small amount of luminol; this substance reacts with iron in blood’s haemoglobin to produce a blue-white glow. The test is very sensitive and can detect tiny traces even in old samples. Crawford’s signature is still a rich red colour today which would be unlikely if it had been blood. Nevertheless, some unionists are not convinced by the evidence. The term “Solemn League and Covenant” recalled a key historic document signed in 1643, by which the Scottish Covenanters made a political and military alliance with the leaders of the English Parliamentarians during the First English Civil War. The Ulster Covenant was used as a template for the “Natal Covenant”, signed in 1955 by 33,000 British-descended Natalians against the nationalist South African government’s intention of declaring the Union a republic. It was signed in Durban‘s City Hall – itself loosely based on Belfast’s, so that the Ulster scene was almost exactly reproduced. Being convinced in our consciences that a republic would be disastrous to the material well-being of Natal as well as of the whole of South Africa, subversive of our freedom and destructive of our citizenship, we, whose names are underwritten, men and women of Natal, loyal subjects of Her Gracious Majesty Queen Elizabeth the Second, do hereby pledge ourselves in solemn covenant, throughout this our time of threatened calamity, to stand by one another in defending the Crown, and in using all means which may be found possible and necessary to defeat the present intention to set up a republic in South Africa. And in the event of a republic being forced upon us, we further solemnly and mutually pledge ourselves to refuse to recognise its authority. In sure confidence that God will defend the right, we hereto subscribe our names.